Paul Wilson has been writing, playing and teaching music professionally for over 30 years. He studied music and classical guitar at California Institute of the Arts and went on to graduate from the Guitar Institute of Technology in Hollywood CA. Paul played in various rock bands during his time in Los Angeles and could be seen regularly at Madame Wong’s, FM Station and up and down the Sunset Strip. He recorded his first album with the the Los Angeles based band “Nine O’clock News” Paul moved back to Sacramento where he recorded albums with his original Hard Rock/Blues/Funk bands “Mr. Meaner”, and “Wilson / Hayes Band”. He went on to receive a BA in Music from San Jose State University. While at SJSU, Paul also went through extensive studies in Audio Engineering. He now resides in sunny Soquel, Ca. 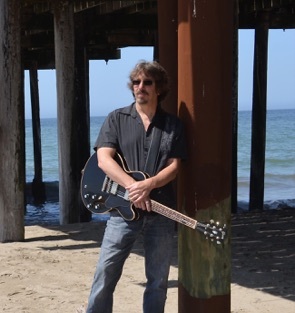 and can be seen playing with many different local bands throughout the Monterey and S.F. Bay areas.